A new SAT-7 PARS show, Wifi, seeks to connect with young and disillusioned Persian-speakers who are searching beyond their immediate environment for meaning and authenticity. As Christians, we know that God is our loving Heavenly Father, but how can we communicate the heart of God to a people who see God as distant? For many young people in Iran, religion and faith is something to leave behind. One of the aims of WiFi is to make the God of the Bible known in a way that will engage young people. The main message of the series is that you can know the God of the Bible and have a strong relationship with Him through Jesus, who is the Way, the Truth, and the Life. 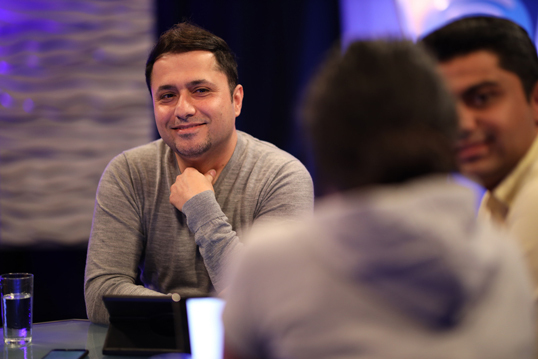 Dariush Golbaghi has been working with SAT-7 for nine years. 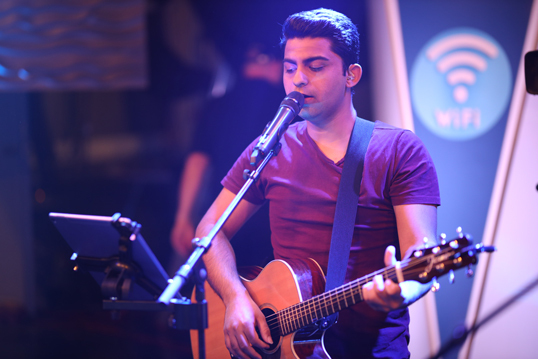 WiFi brings together many aspects of his work as a Church pastor, songwriter, and music producer with a heart to encourage and equip young Iranian worship leaders to effectively serve Iranian believers. A major part of each episode is spent discussing topics that affect viewers, such as temptation, relationships, taking responsibility and forgiveness in the midst of pain. In the last five minutes of each episode, live worship music enables the word of God to deeply penetrate the hearts of viewers. WiFi is due to start broadcasting later this year. The series was produced by SAT-7 Partner Media Mission the Messengers at IRR-TV’s studio in Finland.